Emerald: Possible assassination attempt on Michelle Obama stopped. 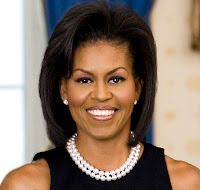 Possible assassination attempt on Michelle Obama stopped. According to globalgrind, a Washington D.C. police officer in charge of protecting White House officials has been put on administrative leave today after he allegedly threatened the life of Michelle Obama, the First Lady. "We received an allegation that inappropriate comments were made. We are currently investigating the nature of those comments." The Department has also contacted the Secret Service about the potential threat. Secret Service spokesman Ed Donovan said the agency is "aware of the incident" and is "taking the appropriate follow up steps" with an investigation.